If Tracey Garvis Graves’ On the Island was an idealized version of the romance between a teen-aged boy and a woman in her third decade A Much Younger Man by Dianne Highbridge is the real story. Aly is a teacher and has a distinct air of melancholia about her. She meets Tom on the train coming home from work and cannot place him at first, he is the 15 year old son of a once close friend from whom she has drifted away. Aly is not a predator, she doesn’t harbor lascivious thoughts about the children she teaches and Tom is uncommonly mature and cultured for his age. Despite the implausibility of a relationship between a 35 year old woman and a boy 20 years her junior Ms Highbridge has managed to craft a believable, realistic tale. A woman and a boy catch sight of each other one afternoon on a train, an old man trips, a possum darts across a wet road. These are the things you can never foretell, the true coincidences. They are two people who do not quite fit into the world they inhabit, Aly is emotionally damaged from an abusive marriage and Tom is the product of two professionals he has been well educated culturally and socially. It still begs the question what would a then 15 year old boy see in a woman who is one of his mother’s peers? But that question isn’t as glaring as it would be in the hands of a less accomplished storyteller. It is inevitable that their relationship would face obstacles perhaps too easily surpassed in On the Island. That being said A Much Younger Man is a strangely compelling thought provoking tale that should not be missed. I have read the following statement a number of times in reviews where it seems that the writer wants to soften the blow and it is applicable in my case as well. I really wanted to like Losing It, I adore the plot device, the oft used yet somehow never old one of, mistaken identity or perhaps not even bothering with the identity part at all. It sparked the relationship at the center of the wildly successful television show Grey’s Anatomy spawning one of the greatest television super couples of recent memory, yet somehow it falls short in Cora Carmack’s debut novel. Bliss is a 22 year old theater student in her final year of school and *gasp* a virgin! Why? As far as I could ascertain because she is completely and absolutely neurotic and not in that appealing Woody Allenesque fashion from his Annie Hall years. The story opens with confessing her dark secret to her bully of a best friend whose solution is to drag her bodily off to the bar and find the first halfway appealing man to deflower our Bliss. Enter Garrick, a gorgeous Brit simply minding his own business reading Shakespeare in the corner. A perfect candidate to help Bliss out of her current predicament, how she could look this gift horse in the mouth I do not know. They end up at her place moments from “fait accompli” when Bliss chokes coming up with possibly the lamest excuse of all time and runs off. Of course the next morning when she attends class her new theater professor is none other than the plummy Garrick from the night before. 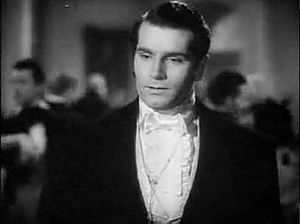 Throughout the novel the reader is never sure what precisely Garrick sees in Bliss and Bliss is one of those adolescent seeming characters who don’t seem to have a clear idea of what they want. In and of itself not an objectionable trait but there seems to be no real reason why Bliss has remained a virgin so long. Is she waiting for religious reasons? Fine. Has she been unlucky? No. This character was extremely hard for me to relate to not because of her age or even her virginity but because she seemed to have no clear reasoning for the choices she made. It was difficult to see how other characters would find her arbitrary nature attractive. Her character lacked motivation and thus I found the momentum in the story itself lacking as well. Losing It was a fluffy enjoyable read but just not for me. Readers are at heart book hoarders, personally I never quite got the whole “returning” the book to the library thing. 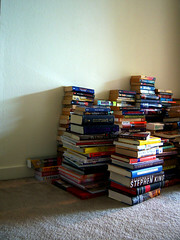 Separate from reading, my hobby is collecting books for and arranging my library. If you follow any book person’s blog they often bemoan the state of the their TBR pile, honestly I couldn’t even hazard a guess at how many books I have in this infamous queue yet I live in mortal fear of “having NOTHING to read!” After reading Life As We Knew It by Susan Beth Pfeffer, a frighteningly realistic dystopian YA novel one of the first thoughts that occurred to me was not to go immediately to my local grocery store and buy all the canned goods in the place but whether I should abandon my new e-reader in favor of paperbacks because “how would I charge my e-reader if the hydro went out? !” Although I must admit this fear does still plague me somewhat I have reached an uneasy accord with myself balancing my book purchases between e-books and what I categorize as “library worthy” hardcover/trade paperback favorites for display and insurance against the apocalypse purposes. With the creation of this blog my reading plan has changed somewhat from my lifelong rather aimless approach, it seems appropriate that to accurately evaluate a novel that there should be something to compare it to. An “apples to apples” approach if you will. Writing my review of On the Island by Tracey Garvis Graves inspired this thinking and as I discussed it with others I became intrigued with the exploring what different authors did with similar situations and who did it more effectively. Initially, I thought Finding Home by Bonnie Dee & Lauren Baker might be a good comparison piece but for reasons I will detail in the upcoming review I eliminated this one from competition. A comment from a blog follower actually ended the search and I am now waiting with bated breath to read and review A Much Younger Man by Dianne Highbridge. Is Anyone Immune to the Romance of Pride and Prejudice? This blogger may be my long lost BBC television series twin, having watched Andrew Davies version of Pride and Prejudice so many times I swear my then infant daughter responded to the theme music. I may just reblog this so I remember to watch “The Lizzie Bennett Diaries” alone as I have seen and own all the rest. –Captain Wentworth, in the best-loved love-letter of all time in Jane Austen’s ‘Persuasion’.